Pewter with a wooden liner, enamelled lid. 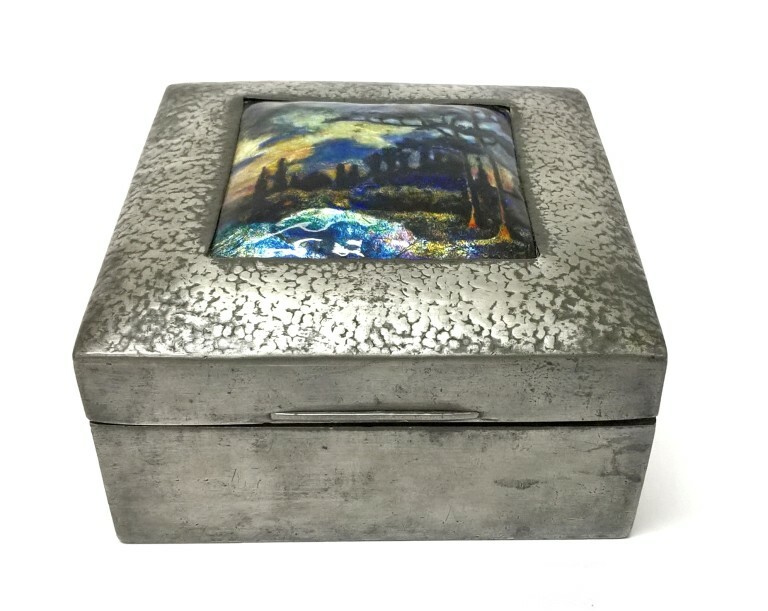 Gift of Liberty & Co. Ltd.
Cigarette box, a small square pewter box with a hinged lid. 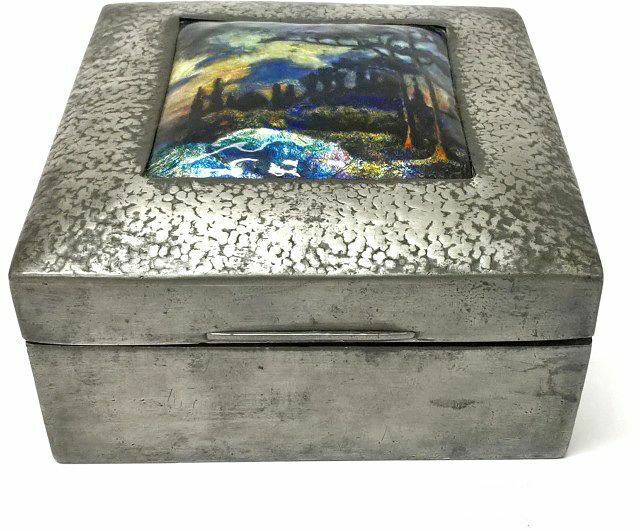 The slightly domed lid is set with a square enamel picture showing a landscape at sunset with dark trees against a blue, yellow and orange sky. The enamel is signed DAVIS in the bottom, right hand corner. The pewter top of the lid has an irregular beaten surface. In the bottom, right hand corner. 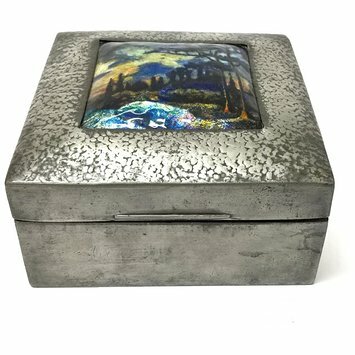 01021 / ENGLISH PEWTER / MADE BY / LIBERTY & CO.
Cigarette box, pewter with enamel decoration and wooden liner, Birmingham, made by W.H. Hasler for Liberty & Co., 1905-10, enamel by Davis. Liberty's 1875-1975, An Exhibition to Mark the Firm's Centenary, London, HMSO., 1975. An exhibition held at the Victoria and Albert Museum, July - October, 1975.